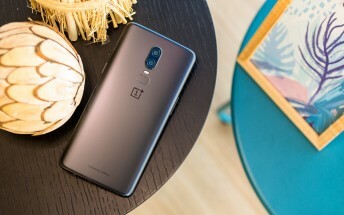 The OnePlus 6 is a good value smartphone with an original price tag of $529, but with the OnePlus 6T release coming up, the company is slashing some prices and clearing stock to make room for the new one. So starting October 10, Amazon India will be selling the current flagship at a heavily discounted price. The OnePlus 6's asking price will be as low as INR 29,999 ($404), which is 24% down from its original tag and the promotion will be available October 10 through 15. Unfortunately, Amazon doesn't mention whether the 128 and 256GB models will get their prices lowered but we assume they will be discounted as well. So if you are not in the market for the latest and greatest or don't want to be bothered waiting a few more days for the OP6T, then this should be a nice deal for you.